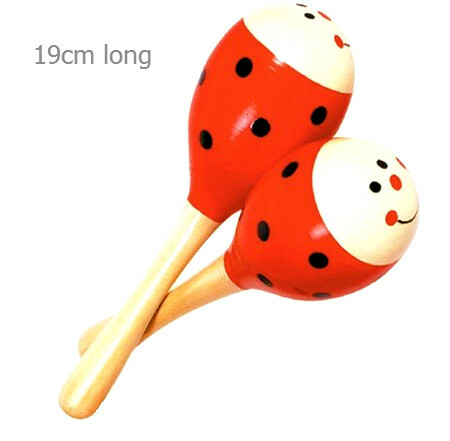 Wooden Ladybird Maracas Pair are two bright and shinny Maracas with a lovely gentle sound and a Ladybird theme. These Maracas are 19 cm long and have varnished wooden handles. The head of the Maraca is decorated in red and black ladybird colours. These Maracas are a lovely first percussion instrument and a great addition to any musical collection. We like this because: "Bright and happy, lovely gentle sound."